I know from my own experiences, people are obsessed with traffic, statistics, looking at other sites – tracking their stats and so on. And if there is enough demand, of course there are sites to satisfy you. I wanted to put those sites and tools in one list together, because at least for me this field was really unclear – I didn’t know what Google Pagerank, Alexa, Compete, Technorati rankings and so on meant. I must say not always these stats are precise, but they give at least an overview, how popular the certain page is, how many visitors that sites gets – and if you compare those stats with your site statistics, you can get pretty precise results then. I also use several FireFox and Chrome add-ons to track website traffic, so I don’t have to type and go to statistic related webpages to get the results. Now I am so used to living with these toolbars, I can’t imagine my browsing life without them. And just a thought – can you imagine how useful marketing information is to have about your competitors?? I just love Internet world :). Okay, now let’s get to the actual article. I will start with actual FireFox plugins (just google the same for Chrome) I use. This article is all about tracking your website’s traffic and how to increase it. Check the table of contents and see what interests you. What Are The Best Ways To Track Website Traffic And Spy on Competitors in 2016? If you want to know where the traffic is coming from and possibly see where the competitors get their traffic these tools are going to make that happen. These tools are also going to get you insights into your traffic volume and more. Let’s start. But before I start, I wanted to mention SimilarWeb, it is a newcomer, but it has gained huge popularity over the years. Nowadays I just use this website to spy on competitors and then I check Alexa rankings to compare how I am doing against others. 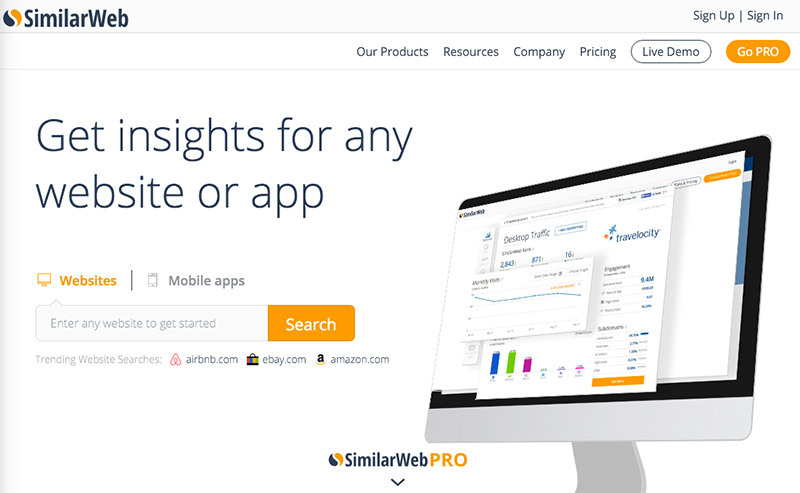 If I could recommend one traffic checking tool, I would recommend SimilarWeb. Also check SimilarWeb preview video to see how much it actually can do, it has been used by top marketers in industry..to even spy on competitor best performing ads and traffic sources. I couldn’t live without this useful plugin, which tracks Alexa, compete ranking and Google LivePageRank. If you didn’t know Alexa and Compete sites are the most popular and trustworthy sites letting you track statistics about sites worldwide, compare them and so on. And who hasn’t heard about this popular Google ranking system? If you haven’t, check out Google official blog to find out more. You can download this add-on here. I could continue, but I thought for statistics with these sites should be already more than enough. Enjoy the list to help you in marketing, SEO or just to satisfy your curiosity about other site statistics. Now let’s take a look at how Google Analytics can help you drive traffic to your website. Being secured in your online business is not all about setting up your defenses but also by analyzing your competitors. Keeping track of what services they offer work for them and how they bring people into their site will provide a good overview of how to improve your business. No matter how they hide their trails, there will always be tools that will let you analyze and track your competitors. First thing to do is to identify your competitors. I find SimilarSites.com accurate and one of the most simplest tool to use. It has a voting system for every result if it is similar or not and SimilarSites also gives you a view of what your competitors are good at: www.example.com is rank 1 in WordPress tutorial, 13 in Photoshop tutorial, 2 in web resources, etc. It is important that you know Page Rank. Google ranks websites according to their popularity, and obviously it gives you an idea on how competitors use their resources effectively. An alternative to Google Page Rank is SEOmoz.com. Free registration and you are good to go with their Trifecta Tool Report. They have their own ranking system which I fancy, reading “44% – Somewhat Important”. Better to top all rankings instead of just one, right? However, regular members can only run one report per day. Analyzing your competitors’ traffic gives you an idea on the number of visitors they get. Google Trends, Alexa, GetClicky are good tools to compare statistics, they let you see on what regions the website is doing great as well as what search terms prospect visitors might search for. It is also good to note competitors that are not doing well in order to avoid being like them, more like a grave example. The next thing to know, after learning what websites have good traffic, is how effective their keywords and link building is. It all comes down to keywords, it tells search engines the content of your site. Wrong keyword means no traffic. A successful competitor knows full well what keywords to use to harvest visitors to their site. A tool to see good keywords in your niche is SEOdigger.com. It provides a list of domains with common keywords and shows the position of the site for the search query in Google and what among them brings more traffic. It gives you enough facility to compare several competitors’ performance in SEO. There are many instances when a higher PR website is outmatched by those with lower PRs, this is due to careful manipulation and good use of keywords. Thankfully you can see what keywords your competitors are using and which of them has the biggest impact. That’s what I call handy. I almost forgot to mention Google Wonder Wheel. It provides relevant terms of your search query of what is gaining popularity among searchers. Neat, eh? Backlinks do two things to help promote your site if done correctly. First it serves as a tunnel from a website to yours, if the referring website is of high standing the better. Second it boosts your keywords. Have I not said that it’s all about keywords? Knowing who the promoters are of sites within your niche is like learning some of the enemy’s strategies. This may serve you well in terms of knowing what direction your linkbuilding should go. It will be a good thing if the website that links to your competitor will take interest in you as well. Remember that good competitors have good backlinks. Facebook is aiming to be the web’s standard for everything you do online. With its Open Graph, websites will customize themselves based on their users’ interests through the Like button. Imagine logging in to Amazon and finding all of the things that interests you neatly arranged on their home page without even having to search for it. Just thinking about it makes me shiver! It is predicted that in the very near future, Facebook will be the one to drive more traffic on websites, the blood of e-commerce! And most likely other major networking sites will follow this lead. Consider following your competitors on Twitter and subscribe to their newsletter and blog. You may also want to search Twitter and see what people are posting about your search query and know how they’re feeling about it. Estimates global traffic for websites. It is pretty flexible. You may compare statistics on the spot, who the audience is, worldwide traffic rank, and many more. It boasts 4 main tools in running reports for good estimate of site analysis, performance, and general recommendation. Provides most of the information you need about backlinks. Another great tool to track web traffic. Boasts analytics in real-time. If you feel like spying and be alerted whenever your competitors appear in the web then Google Alerts is right for you. It is pretty flexible and fast too. I remember using it to keep track of Harry Potter and in just a day almost 300 blogs, videos, news, and everything appeared about my search term! People are broadcasting about this fantastic website? Be alerted and see why. These are free tools that you can use to analyze your website and competitors. There are a lot of paid tools out there but most have the same usage as the tools above. Everywhere you go, information and correct execution leads to success. Good luck to all! The next few sections will be reserved for backlink and traffic building. If you are starting something new or maybe you already have a blog and want to get noticed and gain higher traffic and Google ranking, you just have to read these. Ready? Ok, let’s start. Link building is the most difficult task in SEO, no doubt. Why? Because it is time-consuming, and requires careful research, and the results of which are not guaranteed. For the same reason, many SEOs either outsource the work or go for quick link building campaigns like softwares or simply ignore the whole thing focusing on onsite optimization – which is by far a more comfortable task. I strongly believe that (and I have my experience to back it up) without link building your SEO campaign is not complete. You can tweak your template and rework on your content but if they don’t get a proper link building backup, you’re not going anywhere. Before we start, let me list a few guidelines on effective link building. 1. Link building should not be a quick fix process. Because Google knows what’s happening under the hood, it’s never recommended to boost up your link profile immediately or in any unnatural time frame. 1000 links in three months? Sounds made up right? And Google knows it. So, link building always has to be gradual and “natural”. 2. Do not try to game the system. Technically, we might be trying to game the system, but make sure it’s not aggressively stupid. You need to research what your natural niche is and leverage it. For example, if you have a website about “Red Apples” you need to stick to building backlinks on Apples and Red Apples not Oranges or Green Apples. 3. Link Building should go hand in hand with other SEO efforts. There is no problem if it is otherwise, but link building works most effectively when you also do other SEO like content building and on site optimization. 4. Relevancy should be the key factor. Make sure you have enough content on your website that when found or discovered through your new links compliments to your anchor texts and article. This might sound like very general advice but this is extremely important. Make sure your anchor texts are carefully drafted and the content they link to are optimized well. SEO experts will agree that in link building, more than the number of links you make it’s the contextual nature of the links that matters most to search engines. For example, imagine you have a website design studio, and you’re on a link building spree. Instead of getting random links from web directories it makes sense to get a couple of links from related domains like web design blogs or web design software websites. So, scout for opportunities to write content for such websites. 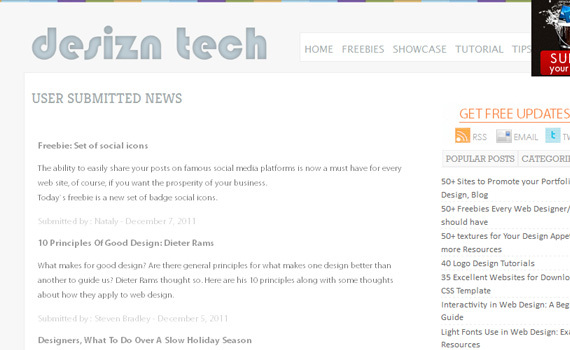 Many web design software studios have their blog and accept content from their users. Make use of it. Now, this doesn’t mean that you can write a ten line paragraph and expect them to feature you on the blog. No. Make sure its a win-win situation and write something that they will benefit from as well. Like a nice tutorial on how to use their design software for web design, or how you used the software on one of your projects. This way, they would be encouraged to post your content on their blog and possibly give back a quality backlink to your website.Think about it. Even when we talk about quality, its important that we also build links in good quantity. Because quantity really matters as well. And talking about quantity, the best way to build links in bulk is to go for directory submissions. But here’s the catch. When you go for directory submissions, there are lots of services that promise the sun and the moon. Research well, before taking the plunge. A good web design or a good sales page may not mean a good service. Check out the forums or even ask for recommendations on social media, and figure out if they are reliable services. And my recommendation is that you go for “themes directory submissions”. What are they? Well, themed directory submissions are link building via directories based on a theme. For example, if you have a website designing service, you might want to submit your website to all those directories who list web design/design services rather than general categories. Google values such themed (contextual) links more than general links. But this doesn’t mean that they are the best contextual links you can get. Testimonials are a good way to build relevant and high quality backlinks. You’ve seen it on all the product showcases, websites, apps everywhere. Hunt for newly launched web services or products and offer them a good testimonial. This requires you to try out the service and give a credible recommendation. Now, you’ve also got to make sure that your you have a good reputation to hold on to. Because, those companies are looking for credible and influential folks to testify for them, not everyone. So make sure you have a decent profile. Press Releases, without doubt are an easy (and expensive) way to build links to a website. And, the plus is that you have perfect control over the copy, content and the backlink. Sending press releases can be an expensive affair, but doing it once in a while will only help you with your link building methods. At the same time, please do not consider them as replacements to your link building strategy. They are only bonuses, because links from press release websites are only given little importance by Google. They probably realize that they are paid links, so people with more money could manipulate the search engine system with these links so they see them that way. However, what I like most in press releases are the fact that you have control over what backlink and anchor text to select while going for it. Make use of it, as you’re paying for it. They are just like guest blogs, but more generic and are submitted through article marketing directories. The good thing about article submissions is that they can be controlled and can be submitted to appropriate contextual directories. At the same time, there is a problem with article submission, that they are less relevant in importance. Since there are many articles submitted and most of them are primarily written for link building, article submissions are not valued much by Google. The fix (well almost) to this problem is that you can go for reputed article writers than just about anybody. Reputed article writers will have a legacy to carry and their articles are promoted more than the average article. So make use of it. Infographics are the new way of marketing. It’s the perfect combination of social media and SEO. They have two advantages. One, they being visually amazing, can be a super hit on social media if done properly. Two, they can be an amazing link building tool. There are several infographic designers available these days, so hiring one would be the best way to go about. With your company’s content in place, what you got to do is figure out how it can be manipulated to make it social media savvy. This requires some amount of thinking and brainstorming, but once you figure it out, it should be say integrating it to a design. Once the design is ready, make sure you plug it into your blog with the necessary HTML code snippet that allows people to embed it on their websites. When they do, you should be getting a backlink. And obviously, you know how to edit the code so that your required anchor text is plugged in. There is a reason why I combined both. Social Media is very generic. In my opinion, for anything to be worth the time on social media, it has to go viral or become popular. And this means creating viral content. Content that will be duplicated on other websites and blogs. A lot of it will be copied without attribution but around 10% will be attributed. And with attribution you get the backlinks. So whenever you create content on social media, make sure it is linkable and shareable. A good way to crack this is to seed the content on various social media bookmarking websites. Once they get popular on those websites, it gets the attention it needs from people who would gladly republish the content to their websites. Some of the most prominent websites are Digg, Reddit, Delicious.com, StumbleUpon, and others. Each of them have a different way of working, and requires separate strategies to make it to the top (and lot of luck), but if you can reach the front page then you are on your way to success. An amazing way to build links and add the buzz is to go for free giveaways. People love free stuff and they would do anything for it. Now, depending upon how amazing your giveaway is, there shall be more interest. Haven’t you seen the free iPhone give away scam? A lot of people fell for it. But that’s not the point. It was a scam. But if you have a good product to giveaway, there’s always people listening. So make sure you have a good product/gift/software to give away first. You can get this done by either buying them or arranging a partnership with the owners. They too wouldn’t mind some buzz. While giving away, also make sure that you ask people to review your site or your product, there by increasing their chances to win. Also make sure that you have planned enough time frame planned in advance so you get the most of excitement. A well designed giveaway never fails. As a white hat SEO, I’d never recommend it. However, if you know how to spot a good quality potential website that can give you a link, don’t miss the chance. Buying links in my opinion is tricky. The first law is not to encourage blind offers that come to you offering links. Chances are that those guys are link vendors who’ve been doing it for long time now and would most likely have accrued black points from Google. So avoid anything mainstream. Instead go scout yourself for potential good linkers and buy from them. It’s always safe and better. This works well with bloggers. 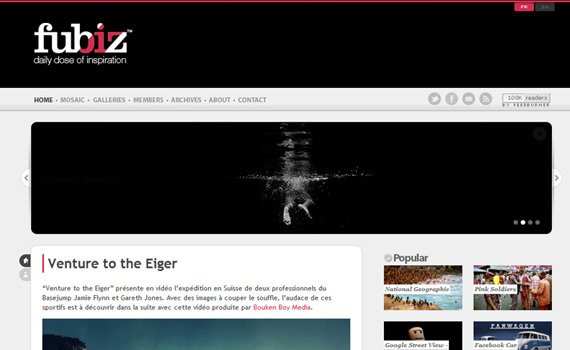 Bloggers love new themes and design packs. Design something incredibly useful and give it away with proper credits in place. Make sure you use your required anchor texts in place. A theme is a good choice because not only will you receive reviews on your theme, but people who will actually use the theme on the websites will link back to you as well. These are the most efficient ways to build backlinks, but be careful with buying links, it’s really not recommended by SEO experts. The next section will be about techniques for building backlinks. A lot has changed now and social media is changing rapidly. This article will help you see hidden gold mines you can discover to build a lot of back links, bring huge social media traffic and enjoy the whole process along the way. I participate in social media mainly because I need traffic, but I also enjoy that I am able to communicate with a lot of people, find good articles I would never find otherwise and learn a lot of stuff all the time! And this skill always comes handy whenever you deal with the Internet – everybody needs more traffic, more buyers, more visibility and good brand built online! In this section you won’t find advanced explanations how to use each of the services, just basic tips, you’ll get a glimpse of everything. I am creating this article for my own one stop place while doing promotion. Work hard on bigger networks and submit your links to small social sharing sites, submit news and in the end you’ll get good back links, good visibility and social traffic! My own 1stWebDesigner success is built through these websites, which allowed me to get 50,000 unique visitors to my site in its first month of existence. Now I have developed my skills and I am giving you tools and sites which work today (however I also added comments on sites, which are popular but are hard to master, be aware of these too). Twitter, undoubtedly is the largest source of visitors for many blogs and websites nowadays. Do it the right way and you’ll see how the conversion rate rises. Twitter can be a big waste of time so check out some of the tools I recommend to automate some of the tasks and spend your precious time just on things that really matter and produce the greatest benefit to your company. There are some great tools to use to effectively automate your account and easily follow up conversations. This online application will help you in your daily browsing by allowing you to schedule your posts to Twitter any time you visit a worthy link, article, picture, video – and the best thing is this app will analyze your Twitter followers and will schedule tweets at times when your audience is the most responsive and active. I tried several apps for tweet scheduling, but this is by far the best I’ve found so far! If you own the blog as I do you will want to promote your articles on Twitter, Facebook and more with ease. Dlvr.it automates this process by tweeting and posting articles on Facebook automatically once they are published. Small app is a huge time saver! This site also has a lot more built in features such as analysis, automatically adding a hash tag and more. Irreplaceable tool in your social media promotion toolbox. 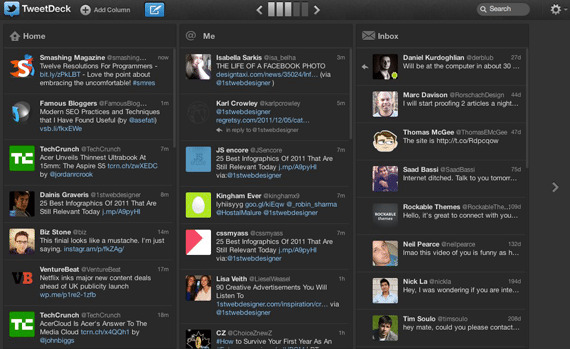 Since Twitter purchased Tweetdeck they have released a new version together with the new Twitter. The new version of Tweetdeck is stripped down, but for me it still fulfills my needs and if Twitter owns it I am sure they will maintain top quality and fix any bugs it might have. I love Tweetdeck’s multiple columns, the previous version wasn’t running smoothly on Mac, but this one certainly is! My suggestion is to use Tweetdeck for closer communication with your followers and getting to know more people. Be sure to also check @ replies to thank you for retweets and engage in conversations you started. This is a lovely ‘invite only’ community which is built all around the concept of tribes. The basic idea is to become a part of a like-minded tribe, where everybody is interested in a particular topic. There you just add your RSS feed and other people in your tribe will see your updates and will tweet your posts if they find them interesting. It’s like a link exchange service, only you choose what to promote, of course you need to be in the right tribe with people who don’t just spam their users, but search for value – and these people actually will help you the most if they choose to tweet your article! Friendly community and it was the most buzzed about Twitter community project a few months ago. Worth a shot. Ask on Twitter for invites or ask me. Facebook, the other social giant, and specifically Facebook pages are definitely a great way to promote your content. Note that FB is different from Twitter, for example, you need to post here just 1-2 times daily and here you need to work much harder to get attention and drive traffic. 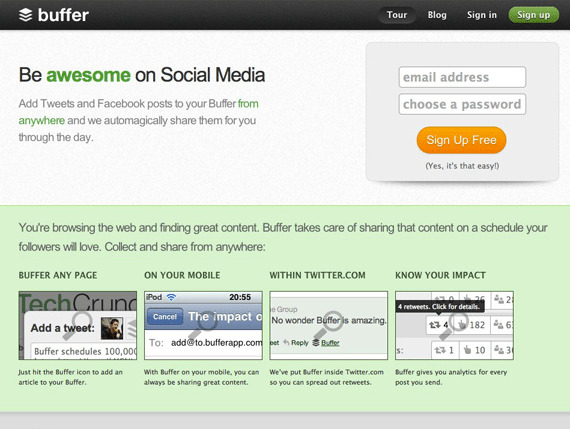 Focus on high quality – I usually curate Twitter tweets from BufferApp and post the top performing tweets on Facebook. Also try to mix these updates with questions, ask your visitors opinions about trendy topics, create contests there – provide value! Ah and by the way I am using Dlvr.it for 1WD Facebook page to automatically post new 1WD articles there. 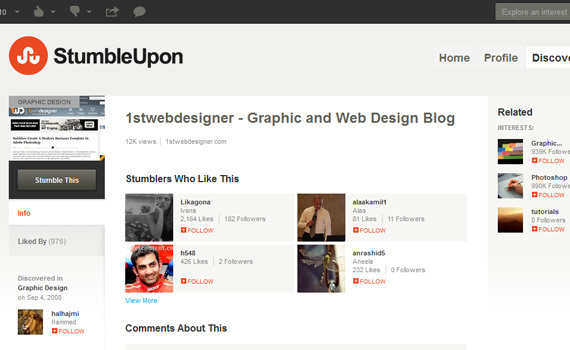 StumbleUpon was a serious traffic source before Twitter and Facebook flourished and I believe it will be back on track after the redesign. Here are some quick tips on how to gain friends, get more shares and traffic in result. You cannot get anywhere with friends that are interested in the same topic you are and would want to exchange stumbles between each other. One way to increase your profile visibility would be just to stumble like crazy, leave reviews on another similar websites and hope you will be noticed, but I suggest you to take the smarter route. Reach all the people directly, find the ones who are active and are interested in the same niche – approach them, explain how you can both benefit from being friends and if you’re lucky – you’ll get your first SU friend! Repeat this process until you are happy and you have enough people in your circle. The second step is to actually fulfill your promises – stumble what your friends are sharing from the bookmarklet SU provides and ask the same back! However don’t go crazy, only promote really good stuff and remember that SU people have short attention spans – so focus on images or video instead of long text articles! Sharing is clunky, you need to click one by one to each person you want to share your website with, but you’ll get your rewards. Just be consistent and SU can be beautiful first traffic and ongoing traffic forever! To let you dig deeper, here is a beautiful SU traffic guide. Ah, there were good Digg days, when it was possible to get really good traffic easily here, remember the famous Digg effect and traffic spikes? Well, now everything has changed and if you’re super smart and knowledgeable, you can try Digg, but for most of us it is just a big waste of time. Not recommended anymore for easy traffic – Twitter, Facebook, SU are much better ways to build your brand and together with it, drive traffic. With Digg mostly it was just about traffic, but now even that’s lost – they don’t have much traffic anymore even if you get on the front page, and believe me it’s super hard to get there anyway. I was a Digg power user and still 1WD only made it to the front page a few times where twice it was quickly buried and twice we got really good traffic, but it was very a small amount for the amount of effort we put in to get there in the first place. Of course, despite all the bad luck with redesigns Digg is still a significant player in the game of social promoting if you really know how to play that game. Although it has become a little neglected Designbump still is a useful library to find tons of design related news around the web. I suggest this one especially for building links, you need to get 9-10 votes to get on the front page, but even if you don’t, you still show up in their database. The traffic building tips on Designbump are the same as SU, write personal messages to like-minded, active people and work on exchanging votes. Do not waste too much here though, because traffic isn’t that great. Yet not reached it’s potential till now, Google+ is a powerful social network the largest bloggers are already using actively. Google+ is the newest player in the social media field, but it’s been growing quickly and it is predicted it will reach 200 million users in 2012. Here it’s all about the people and the circles you establish – if you can build up a strong following, you will get great rewards! Reddit is tough one, because it is a very strong and private community which neglects outside promoters who just want to build traffic. My suggestion is – if you cannot blend in with the community and mix up your submissions and activity with promotion, don’t even start here. You’ll get burned quickly. But however if you love a geeky community and would enjoy spending free time there anyway, you can get high rewards, most of Digg’s traffic went to Reddit after it’s redesign, remember that! LinkedIn is changing all the time and actually improving, I’ve tried using their forums and promoted my articles through there and surprisingly got some traffic easily. But basically all you need to do is to provide value, be active and make use of that community! The same way as all other social networks: you need to communicate and approach many people to gain attention, nothing will come if you don’t ask for it and actually initiate the first step. Here is good article explaining how to use the new LinkedIn company pages. 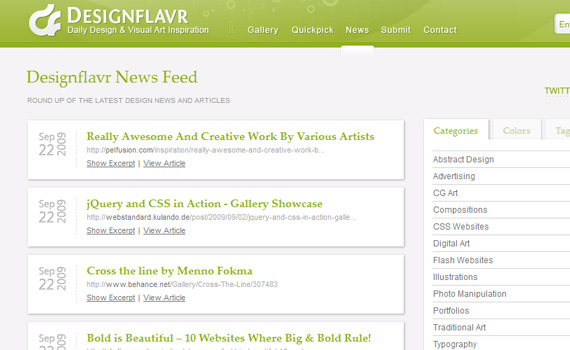 Ffffound is another image bookmarking service where you can submit your inspiration related content. 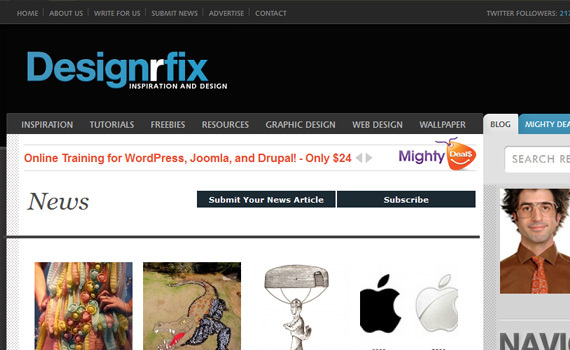 The community news is one of the major sections of DesignM.ag. All submissions will be moderated yet they’re charging a review fee of $2.99 so that may hold lot of people back. Fuel network consists of 9 websites. Anyone can submit links with a short description which will then appear in the sidebar. Fubiz is a superb place to find inspiration and they’ve got a quick link feed in the sidebar where you can submit your links. 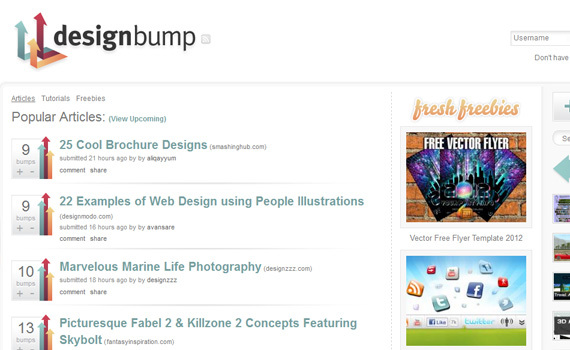 Tutorial9 used to be a big Photoshop tutorial site, but David Legget decided to change it all and now it’s more of a design article curation site with a growing community. Submit your best design related content here. 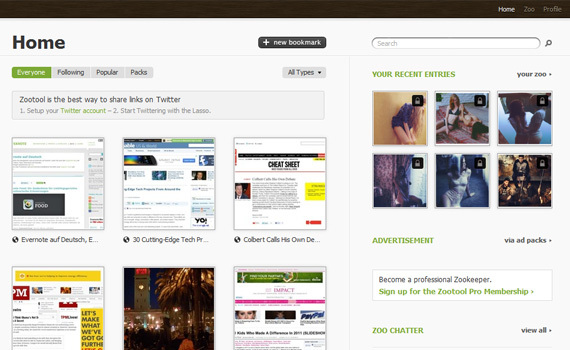 Bookmarking services with search feature like Zootool can be a great way to attract new readers. It wouldn’t be fair just to leave you with simple list right? That’s why I found and included several more articles, which I found outstanding and super valuable to read for anybody interested in link building and social media marketing! Here you go..
Viperchill SEO and Social media categories – SEO, link building and tips how to attract traffic. Learn how to do keyword research, learn powerful link building techniques. On social media page you’ll get a lot of social media traffic building tips and different look on everything – switch on stealth mode and be ready to be educated! 5 Ways to Use Google+ to Improve Your Search Engine Optimization – behind Google+ is Google which means you will leverage a lot in search results if you use this service, learn how to do it! Top 20 Social Media Blogs 2012 – SocialMediaExaminer is searching for top social media blogs and each site here has amazing articles, if you want to be social media guru, you need to improve all the time. Check these blogs and subscribe to your favorites for daily social media tips and inspiration! 30 Brilliant Social Media Marketing Tips From 2011 – in this article you’ll discover 30 tips from all the most known websites in this niche! A lot of ideas you should consider in your own social media promotion. Backlinks Checker Tool – See all sites where are backlink to your site. Knowem – Allows you to check for the use of your brand, product, personal name or username instantly on over 400 popular and emerging social media websites. Link Exchange Directory – Gain only one-way inbound links. Kwmap – A keyword map for the whole internet. Google Adwords – Shows similar and searched keywords. Keyword density check – This tool parse the most frequently keyword of a website and calculates his percentage share. KeywordDifficultyTool – Get data on any keyword term / phrase including Keyword Difficulty scores & Google AdWords search volume. SEO for Firefox – Pulls useful market research data right into Google’s and Yahoo!’s search results. Keyword Suggestion Tools – Helps to choose right keywords to your site. Alexa Ranks – Alexa page rank. Raven Internet Marketing Tools – Manage your SEO and Social Media, Research and track keywords and competitors. Backlink Builder – Building quality backlinks. Linkvalue and Linkprice calculator – The linkprice calculator reckon the link value per month of a entered website. This link value is calculated from many search engines important factors. Ahrefs position explorer – check where you stand in Google. Rank Checker – Rank checking tool allows you to check your rankings in Google, Yahoo!, and Microsoft Live search results. URL rewriting tool – Rewrites ugly url to SEO friendly. Title And Meta Tags Generator – Helps to choose title and meta tags. Different Data Page Rank – With the Multi PageRank Check you can check the PageRank from different google data centers. Google Gadgets – These allow you to make SEO tools conveniently available anywhere. Okay and finally I wanted to ask what are your favorite social media and content marketing techniques and back link building tools, you use? Don’t be greedy – share them with us so we all can improve, it won’t hurt anybody! Next thing up will be a few tips on how to increase traffic to your website. If you want a personalized visit tracker that shows you only what you need? This is the right place to be! In this tutorial we will show you how to build your own small tracking system! If you have a website, you are probably interested in knowing who visits you site. You might want to know the number of visitors, where are they from, how did they get to your site, etc. There are some online tracking options available, like google analytics or if you are using a hosting service they might offer some statistics. I’ll show you how to build a small tracking system with this small tracker php script that saves the following information about your visitors in a database: their ip address, their location (country and city) based on their ip, the date and time of their visit, some information about the browser they used and their operating system, the referer (if they clicked on a link on another site to get to yours, you will know which site referred them) and the query string they searched for in case they were referred by a search engine. I will also show you how to check if the visitor was a bot (these are software applications that run automated tasks over the Internet). I’ll show you how to write this small script and also a page with some statistics from the database. You can download the source code here. You can also see a live demonstration here. First, we need a table in the database to hold the information about the visitors. We’ll call it “tracker”. We’ll need the following columns in the table: id, date, time, ip, country, city, query_string, http_referer, http_user_agent, isbot (this will hold the value 1 is the user is a bot and 0 otherwise). Next, we’ll need a small php script that finds out all the needed info and inserts it into the database. $_SERVER is an array containing information such as headers, paths, and script locations. The entries in this array are created by the web server. We will save the ip of the visitor ($_SERVER[‘REMOTE_ADDR’]), the referrer ($_SERVER[‘HTTP_REFERER’]), the query string user to search ($_SERVER[‘QUERY_STRING’]) and the data about the visitors browser and operating system (SERVER[‘HTTP_USER_AGENT’]). I have found a list of bots. To check is a visitor is a bot, we need to check the $_SERVER[‘HTTP_USER_AGENT’] variable. Finding out the location details using the ip address is a bit more difficult. We will need to make a request to a server that finds this sort of information, get the result from the server, parse the result and get the country and city names. We will be using the API from ipinfodb.com. To be able to use their service, you will need to request a free API key. You can find more info about how to get one and how to use their service on their site. The php class is provided by ipinfodb to make it easier for us to use the service. Make sure to set the API key in the code. All this code does is to call the getCity() method from their API to get the location info and check in the result for the values we want (city and country names). We set the $isbot variable to 1 if the visitor is a bot and 0 otherwise. We will save this variable in the database. We’ve retrieved all the information we wanted! Next, we will have to add all the information into the database. We need to set the database server, database name, user name and password, then connect to the database server and the database. Another thing we have to be careful about is preventing any sql injection attacks. For this, we will have to apply the method mysql_real_escape_string() to all values before inserting them into the database. Then, we run the query to insert the information into the tracker table. All the information we wanted is now saved in the database! All we need to do now is include this script in the main page of the site and we can track the visitors! We could also add this script to the other pages of the site, add another variable to hold the page name and insert this in the database as well. This way, we will know exactly what pages did the user browse on the site. The code for this is shown below. // fill in your databasa data here! What we’ve done was to retrieve the information from the database using the appropriate sql queries and print the information on the screen. And that’s about it! We now have a visitor tracker! If you have questions, comments or need further details on something, please let me know. I’d be happy to help! As you can see there is a big number of tools, websites, and techniques to track traffic and build backlinks. Hopefully, these tips and tricks will help you to do your job better and enjoy the ride along the way. Tell us what you think and what are you using to build traffic and backlinks?